Buying a home is a major investment. Searching for the one that is right for your family is often stressful, particularly when given how volatile the housing market can be. 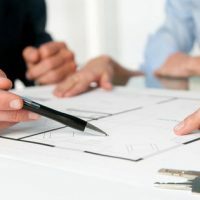 While you may face stiff competition from other potential buyers, you want to be sure to carefully consider your options and to look closely at your real estate contract before making an offer. Homes that are offered ‘as is’ may be appealing in terms of price, but it is important to be aware of the contingencies and disclosures that can help to protect you against unforeseen circumstances. HGTV warns that while a property listed ‘as is’ can end up being a great bargain, buyers need to be aware of the seller’s legal obligations in these transactions, as well as the potential problems that can arise. The term ‘as is’ is often used as a default setting in real estate contracts, allowing the seller to move on after a sale without making any additional repairs or corrections to the property. This places the burden for repairs directly on the new homeowner. Choose a property that is relatively new and appears well maintained. Make sure pest and property inspections have been conducted and take the time to read the reports. Look for additional disclosures from the owner about the property’s condition, particularly those that relate to hazardous conditions or structural issues. By law, sellers are required to provide disclosures about any known conditions prior to selling the home. Attempting to hide defects could give you grounds for a lawsuit. Stipulations regarding financing: This can protect you against potential penalties if you are not approved for a home loan. Inspection contingencies: While buying a home ‘as is’ generally means you are purchasing it despite any known or unknown defects, you may be able to negotiate certain inspections as a condition of the sale. Contingencies based on the sale of your current home: You may be able to word a contract so using the sale of your own home as a condition of the offer. When negotiating offers and drawing up contracts related to the buying or selling of a home or property, it is important to have an experienced New York real estate attorney on your side, protecting your interests. Call or contact Cavallo & Cavallo online today and request a consultation in our Bronx or New Rochelle office to get the legal guidance you need to make a sound investment.